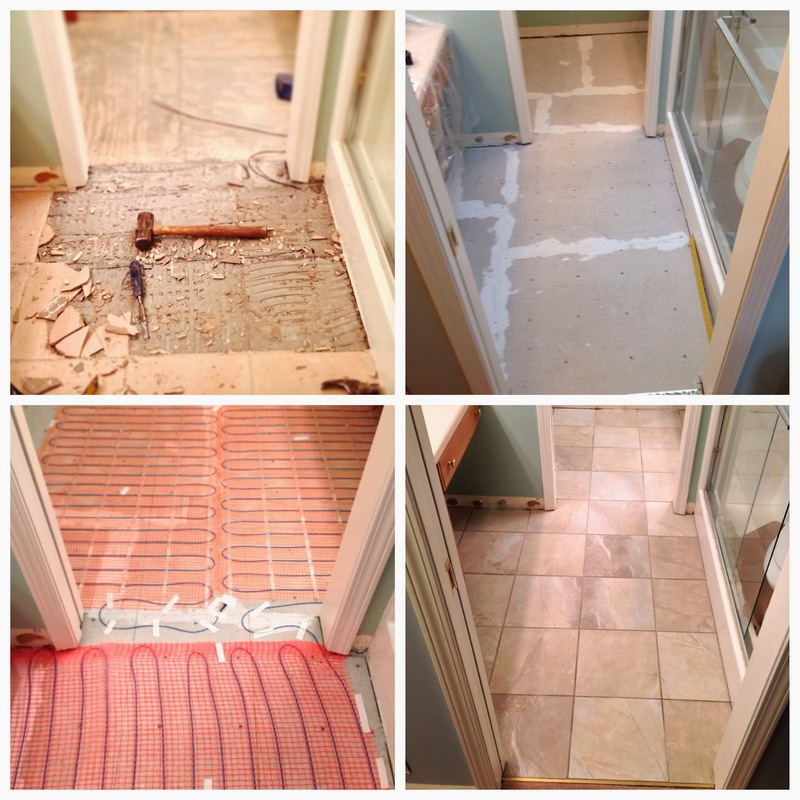 How would you like your old kitchen and bath floors replaced with a brand new, meticulously installed custom tile floor that not only adds value to your property, it makes you smile each time you see it? When you call (573)999-6336, David Henderson of Henderson Home Improvement LLC (HHI) you can make it happen. 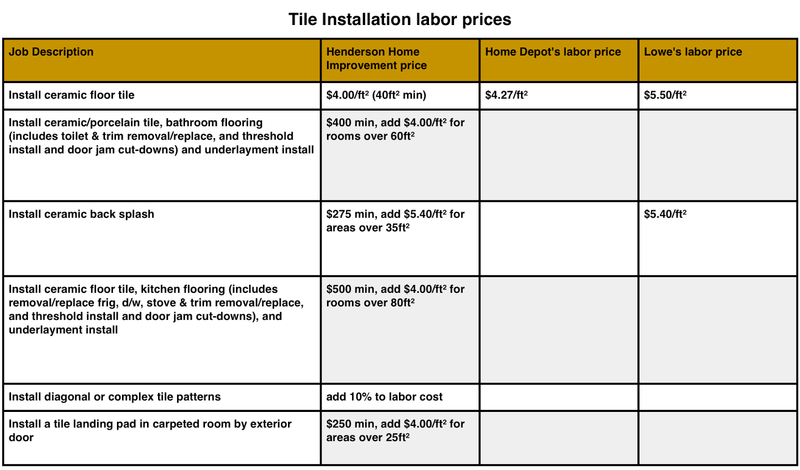 Below are the labor costs for some of the most common tile jobs that HHI performs. 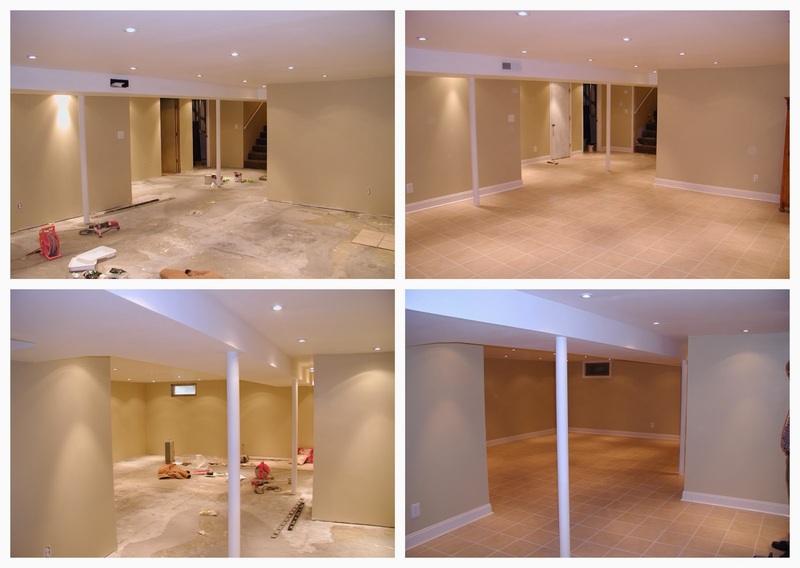 Throughout are just a few samples of before and after images of tile and construction projects that HHI has completed. 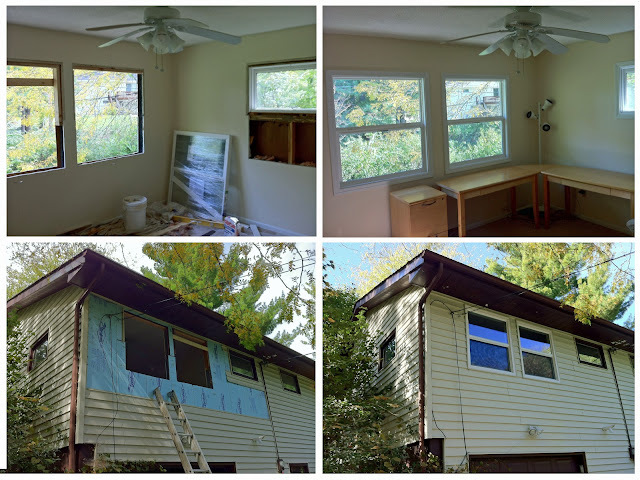 I can meet with you and discuss your project and take measurements for material calculations or you can email me photos and a written description of what you would like replaced or remodeled. 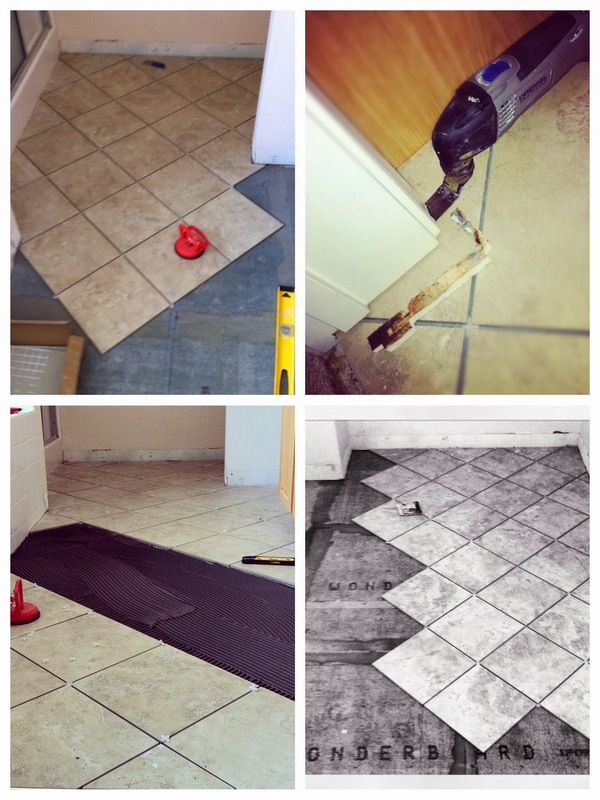 My labor rate for tile installation is based on a minimum job size, plus square footage and complexity of tile pattern chosen by the client. 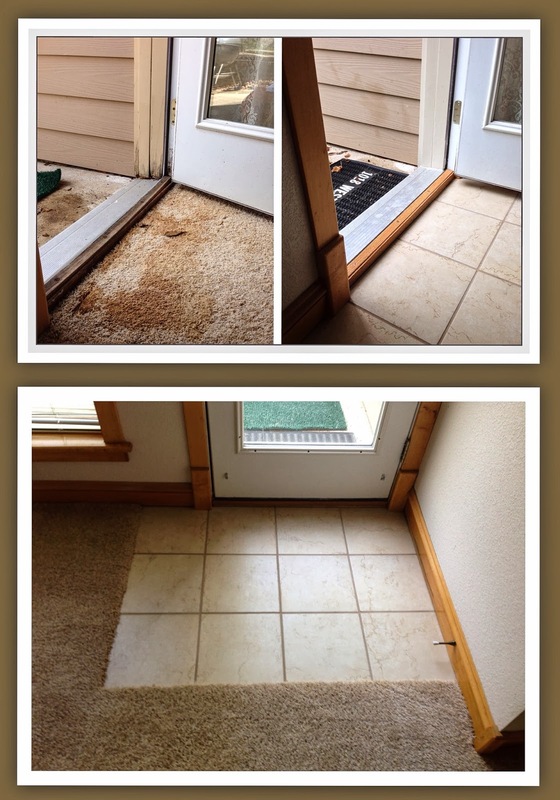 HHI can do much more than tile installation, as illustrated throughout this website. 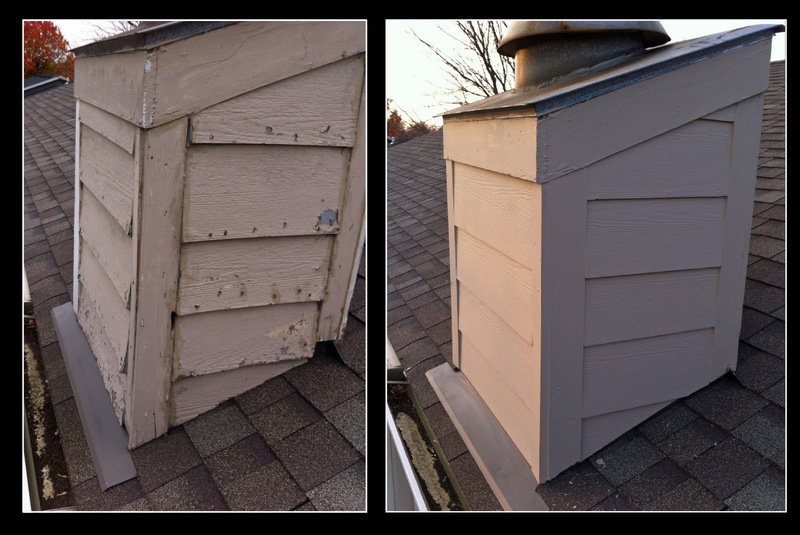 All jobs are performed with the highest quality of finished work in mind. For a partial list of the most common jobs that I can perform, please see my page on "estimates and rates" by clicking here. The prices listed on this website do not necessarily constitute an offer, but do serve as a guide. Estimates are free, and valid from the time of my submission and expire after 2 weeks. HHI does not add any profit margin to any material or labor costs. Typically a 30% profit margin is added by many companies to their final bill. HHI estimates are strongly adhered to for final billing. The final price of any job is contingent on the actual cost of the materials used, and the actual work performed. I can be contacted by my email address: h4henderson@yahoo.com or you can simply call me (David Henderson) at (573)999-6336. I would love to talk to you about your project! The prices listed do not necessarily constitute an offer. 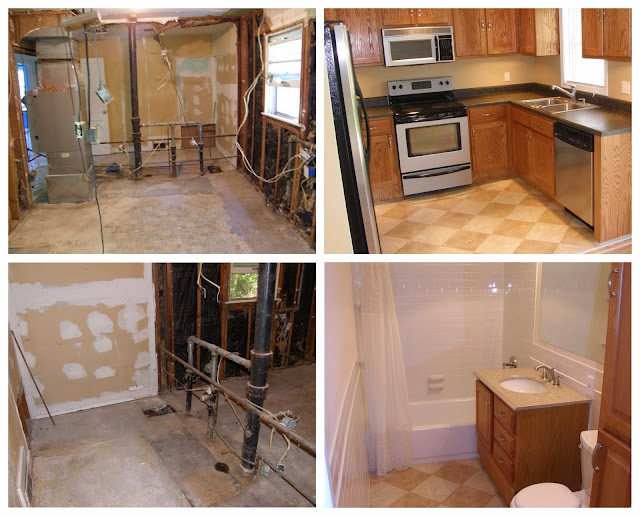 Henderson Home Improvement LLC is owned and operated solely by David Henderson. 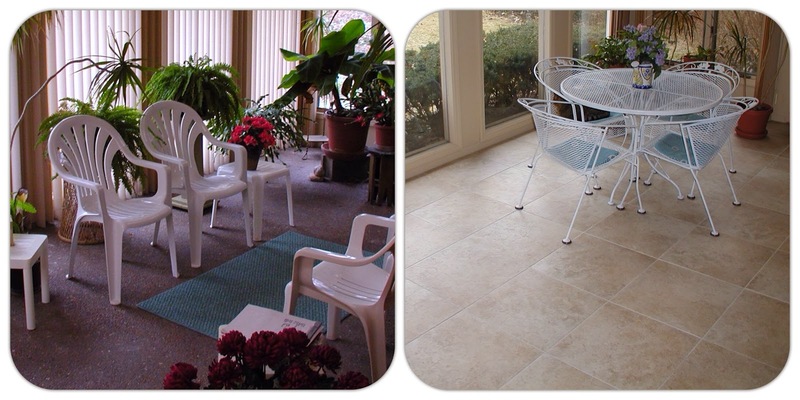 Ceramic or porcelain tile― which should a home owner choose? While most home owners care more about tile aesthetics rather than composition, others will want to know the difference between ceramic and porcelain tile when making their decision. According to the Tile Council of North America (TCNA), porcelain tile is defined as a tile that has a water absorption of less than 0.5%. Porcelain is a bit harder material and slightly more durable than ceramic, but both are appropriate for residential use. Usually porcelain tile is more expensive than ceramic tile. However, my labor rate for tile installation is the same for both—it is not based on the price of the tile that my clients choose to install. I price material costs and labor fees separately, and unlike some competitors, I do not add a surcharge to the tile price on top of the actual expenditure. 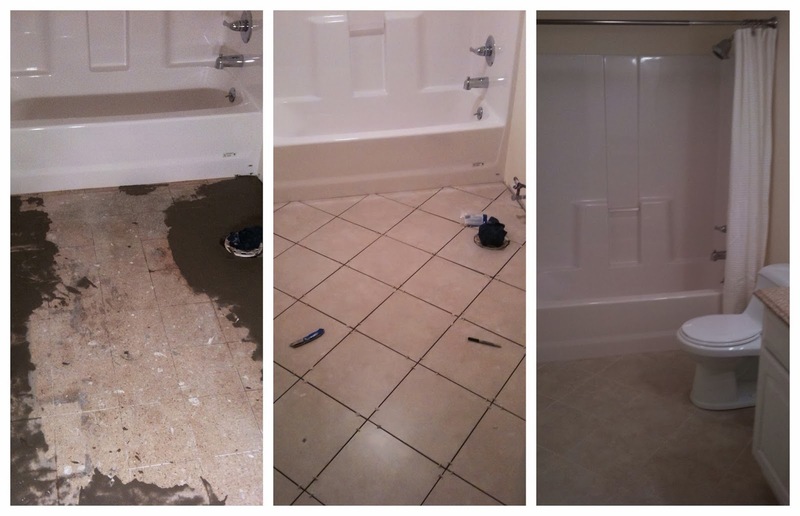 My labor rate for tile installation is based on a minimum job size and square footage (see estimates and labor rates). 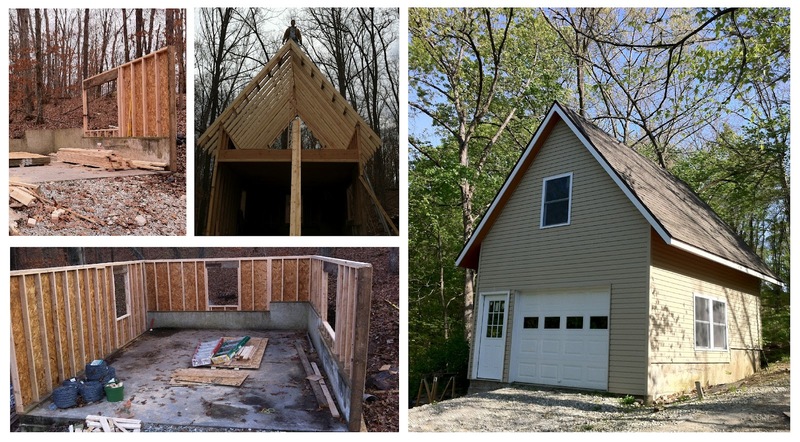 Pictured above is a garage that I built with the help of the property owner. I don't exclusively build large structures, but this is a good illustration of general carpentry, siding, garage door, exterior door, windows, soffits, fascia, siding and roofing skills that I can apply to any repair or installation projects that you may need. Pictured above is before and after photos of my tile installation on concrete floor that had a damaged toilet flange and damaged vinyl flooring. As you can see, the old toilet flange was effectively rusted away on one side. 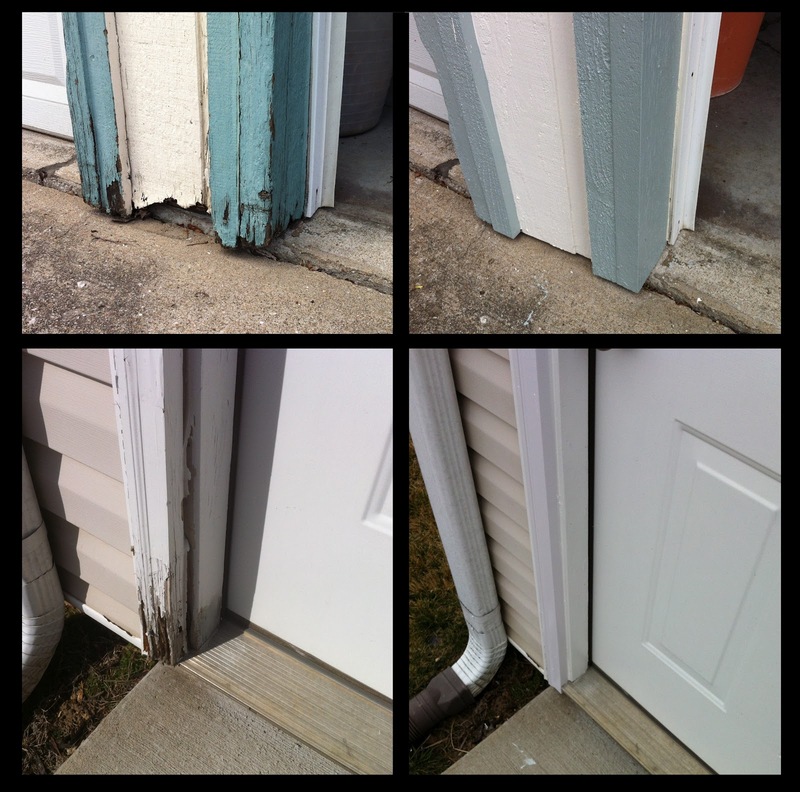 This typically can cause a leaky toilet and damaged flooring. My repair should last many many years. 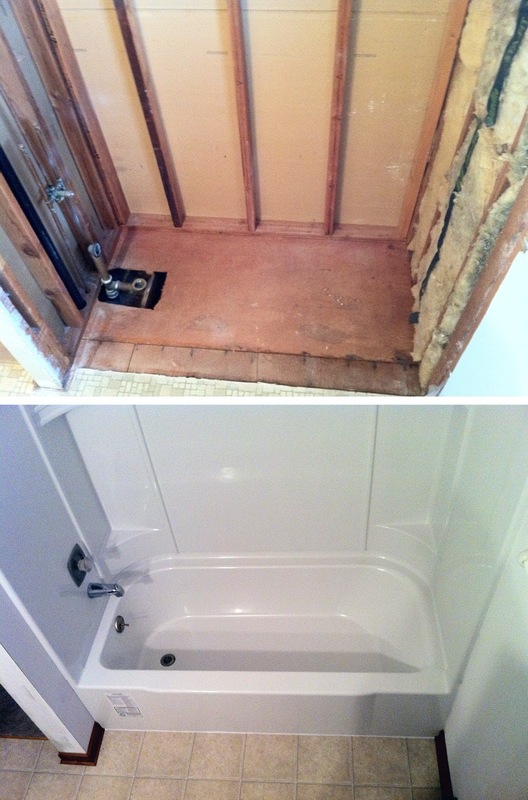 Remove existing bathtub and replace with new fiberglass bathtub(using existing plumbing) and finish surrounding drywall, $500 labor plus material cost. 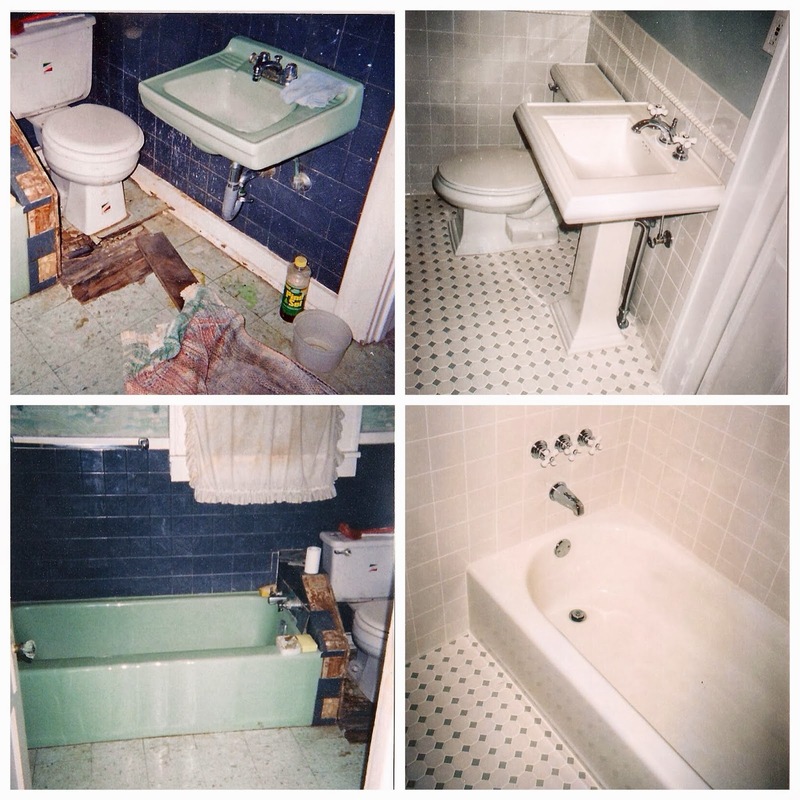 Install vinyl flooring for average sized bathroom, including removing and resetting toilet and floor trim and installing new floor transitions: $250 labor plus material cost, ceramic @ $400 with cement board underlayment, plus material cost (price may increase depending on existing flooring condition and issues regarding removing and resetting of vanity or pedestal sink, etc.) 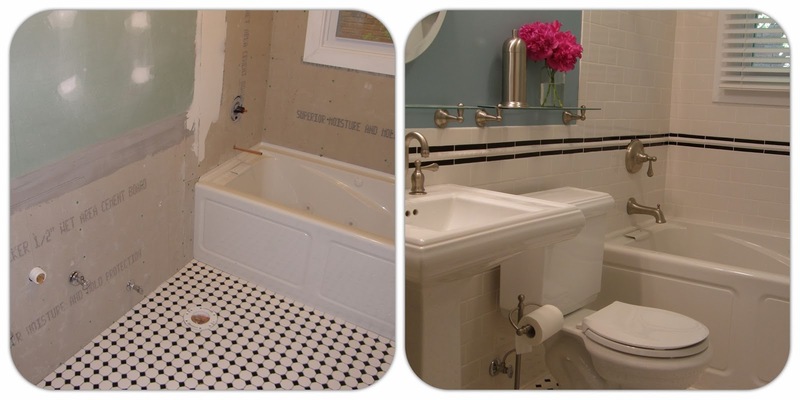 Bathroom floors over 60 square feet add $1.20 per square foot for vinyl and add $3.50 per square foot for ceramic. What a difference a little drywall, paint and trim makes! This space originally had dark paneling. New wall coverings, combine with a cheerful color, make all the difference! 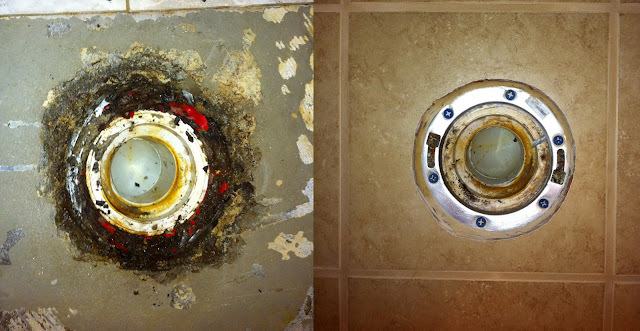 Drain repair. Old rusted out cast iron pipe replaced with new PVC drain pipe. Good as new!